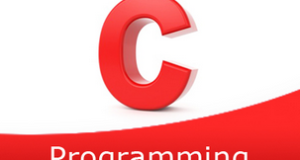 C program to find the reverse of a string – In this article, we will discuss the several methods used to find the reverse of a string in C programming. As you can see, you need to enter a string of your own choice firstly. The string entered here is a simple “WELCOME”. Read the entered string and store the string into the variable s.
2) Calculate the string length using strlen(String s) and store into the variable n.
3) Iterate the for loop from i=0 to i<half of the length of the string. a) Initialize the starting element to temp. b) Initialize the s[n-i-1] element to s[i].Here last positioned character initialized to the first position. c) Initialize the temp to last position. when ever i value increased then the position will be decreased. 4) Print the reverse of a string. The main() calls the stringreverse(char *s) function by passing the string as an argument to that function. 2) The function first calculates the string length using string library function strlen(String) and assign to n.
a) Iterate the for loop from i=0 to i<half of the length of the string. Initialize the starting element s[i] to temp. Initialize the character from the last position s[n-i-1] to starting position s[i]. Initialize the temp to last position s[n-i-1]. 3) Print the reverse string. The function stringreverse(char *s) calculates the string length using strlen(s) and length will be stored in the variable n.
initialize element from last index n-i-1 to s[i] and temp to last index s[n-i-1]. the function calls itself recursively until i< half of the string length. The function strrev(String s) is the one of the library function of string. It will reverse the given string. 2) The function strrev(String s) is available in the string.h header file.